If you’re serious about healthy cooking, you likely have already tried spiralized zucchini noodles. They’re healthy and delicious, and can take the place of high-carb foods. But one can only eat so many zoodles. Did you know there are many other healthy and delicious fruits and veggies that go great in a spiralizer? Other spiral-friendly foods include broccoli, apples, beets, sweet potatoes, pears, parsnips, squash, carrots, potatoes, and yams, just to name a few. If you’re zoodled-out, we’ve got some fantastic recipes below that will inspire your spiralizer. Try this savoury and satisfying casserole on a weekend morning for a paleo, gluten free, low-carb treat. Get the full recipe at SkinnyFitalicious.com. If you’re on the meal prep train, this hearty breakfast will whisk you off to flavour station. Get the full recipe from Inspiralized.com. This satisfying salad is easily packable for lunch on the go. Bonus – it’s keto-friendly and dairy-free, and vegan if you replace the chicken with a protein alternative. Your craving for takeout will be taken care of by this tangy and spicy soup with spiralized sweet potato, zucchini, and celery root. Get the full recipe from SaltAndLavender.com. The spicy wasabi dressing packs a lot of punch on this fresh and healthy salad. Get the full recipe from PeasAndCrayons.com. The “dirty rice” in this recipe is neither dirty nor is it rice (it’s actually sweet potatoes), but it is rich and delicious. This quick and tasty one-pan meal with lean beef and loads of veggies will be a hit with the whole family. Get the full recipe from TheGirlOnBloor.com. If you’ve never cooked with unripe papaya before, welcome to a new world of flavour! This simple and vibrant salad can be thrown together in minutes, and can be served as a main or side. Okay, so this one isn’t so super-good for you, but we couldn’t resist these yummy little bites. Get the full recipe from TheCreativeBite.com. Snap this onto your KitchenAid mixer and start spiralizing. This handy appliance has 4 different blades for an endless variety of new dishes to try. With ultra-sharp blades and easy clean-up, this hand crank model with save you time and electricity. If you want to start spiralizing without committing counterspace, this little gadget can accommodate both long or round vegetables, and will fit in your kitchen drawer. The new year is just around the corner, so why not ring in 2019 with a delicious brunch get-together? We’ve got some of the best New Year’s Day brunch recipes to help you and your friends or family celebrate in the best way we know how – surrounded by delicious food. Coffee and tea are musts for brunch, but this fresh spritzer will quench some holiday thirsts, too. In a large jug combine cider, juice, and orange juice concentrate. Refrigerate until serving time. Just before serving add chilled ginger ale. Garnish with frozen cranberries, apples, and orange slices. Get more non-alcoholic drink recipes at Say Yes. You know you’ve got some leftover eggnog in your fridge. Put it to good use with these warm, sweet pastries that are sure to be a hit. Stir flour with sugar, baking powder, salt, and nutmeg in a large bowl. Work in butter until crumbly. Pour in eggnog and stir until just mixed. Pat dough into a 2cm-thick circle. Cut into 8 triangle-shaped scones. Arrange 2cm apart on a baking sheet. Bake at 425°F until golden, about 15 min. This one is as fun to eat as it is to say. Heat the oven to 325°F. In a large pot of boiling salted water, cook the broccoli rabe until almost tender, about 3 minutes. Drain. Rinse the broccoli rabe with cold water and drain thoroughly. Cut the broccoli rabe into 2-inch lengths and set aside. In a large bowl, beat the eggs with the ricotta and 1/4 teaspoon each of the salt and the pepper. In a medium cast-iron or ovenproof nonstick frying pan (we recommend the Berghoff Neo Enamel Cast Iron Fry Pan), heat the oil over moderate heat. Add the garlic and cook, stirring, until fragrant, about 30 seconds. Add the blanched broccoli rabe and the remaining 1/2 teaspoon salt and 1/4teaspoon pepper and cook, stirring, for 2 minutes. Evenly distribute the broccoli rabe in the pan and then add the egg mixture. Cook the frittata, without stirring, until the edges start to set, about 2 minutes. Sprinkle the parmesan over the top and bake until firm, about 25 minutes. Tip: Broccoli rabe can be bitter, but blanching the vegetable in boiling salted water for a few minutes before proceeding with the recipe tempers its strength. The trick, used here, can be applied to almost any dish. Yes you read that right. These decadent treats will wow your guests and have them talking for the rest of the year. Preheat an electric non-stick griddle (like this affordable Black & Decker griddle) to 350°F. In a mixing bowl, whisk together flour, cocoa powder, baking powder, baking soda, and salt, set aside. Measure out milk into a liquid measuring cup and whisk in vinegar, allow mixture to rest for 2 minutes. Pour milk mixture into a separate large mixing bowl and add in sugar, eggs, red food colouring, vanilla, and melted butter. Whisk mixture until well combined. While whisking, slowly add in dry ingredients and mix just until combined. Butter griddle if necessary and pour about a 1/4 – 1/3 cup batter (depending on how large you want your pancakes) at a time onto hot griddle (you can also use the back of measuring cup or spoon to lightly spread batter from centre out to the edge a bit so they aren’t thicker in the centre than they are on the edges). Cook until bubbles begin to appear on the top surface of the pancakes then flip and cook opposite side until pancake is cooked through (I didn’t want the tops of the pancakes to be brownish red so I flipped them a little earlier than I normally do with pancakes, I didn’t wait for many bubbles). Serve warm with Cream Cheese Glaze and garnish with fresh raspberries and mint leaves if desired. In a mixing bowl, using an electric hand mixer set on medium speed, blend together cream cheese and butter until well combine and fluffy, about 2 minutes. Add in remaining ingredients and mix about 1 minute until well combined, adding additional milk to thin if desired. Store in an airtight container in refrigerator. You can’t have pancakes without bacon, but cooking bacon for a big group can be a hassle. In the oven it’s much less work, less mess, and it will be just as crispy as the stovetop method. 2. If you like your bacon extra crispy, put a metal cooling rack inside the baking sheet. Elevating the bacon allows the strips to cook from all sides. If you like your bacon with a little chew, or you don’t have a cooling rack, skip this step. Your bacon will still be amazing. 3. Lay bacon strips in a SINGLE layer on the baking sheet. Do not let them overlap or the strips will stick together. Bake until the bacon is crispy, about 20 minutes, depending on its thickness. Our advice: Start checking after 15 minutes because some ovens are finicky and burnt bacon is sad. 4. Per usual, drain the (very greasy) bacon slices on a paper towel-lined plate, then serve immediately. 5. Pour grease into a mason jar (or other glass container) and store in the fridge. Seriously though — saving the fat will be the best decision you make all week. You can use it to cook eggs, roast vegetables, and pop popcorn! If you or your guests are looking to take a break from the holiday treats, this healthy selection will still satisfy your craving for a special breakfast. Note: This recipe is for one serving, increase quantities as needed. Preheat oven to 400ºF (205ºC). Slice squash in half and clean out seeds. Sprinkle squash with salt and pepper to taste. Spread tomato sauce in squash. Place spinach, followed by mushrooms, ham, red onion and cheese, followed by another sprinkle of salt and pepper. Once oven is preheated, bake squash for 15 to 20 minutes. After 15 to 20 minutes crack two eggs into the spaghetti squash and continue to bake until egg reaches your desired doneness (about 15 to 20 minutes). Finish with salt and pepper and serve. Craving your favourite treat from a certain coffee shop chain? Satisfy your craving with these delectable knock-offs. 1. Preheat oven to 350°F. Prepare a standard-size muffin pan with 12 cups by either greasing or adding cupcake liners. 3. Crack the egg into a medium bowl and whisk until pale, about 30 seconds. Add the sugar and whisk vigorously until thick and well-combined for another 30 seconds. Add the melted butter and whisk vigorously to combine. Stir in the vanilla and orange zest. Lastly, add the sour cream in two additions, whisking just until combined. 4. Chop the cranberries (if you haven’t already). Reserve 2 tablespoons and set aside. Add the remainder to the flour mixture along with 1 1/4 cups white chocolate chips. Toss the cranberries and white chocolate chips with the flour mixture just until distributed. 5. Add the sour cream mixture to the flour and fold very gently with a rubber spatula, continuing to fold and stir gently just until combined. The batter will be very thick and there may still be bits of flour here and there; that’s okay. Better to have spots of flour than to overmix. 6. Scoop into muffin cups in approx. 1/3 cup increments, dividing evenly between the 12 cups. Bake until the muffins are golden brown and a toothpick inserted into the centre comes out clean, about 25 minutes. Allow to cool in the pan for 5 minutes, then transfer to a wire rack to cool completely. 7. For the frosting, using a stand mixer (like this classic KitchenAid model) or hand mixer, beat the cream cheese and butter on medium speed until well combined, about 30 seconds. Add the powdered sugar, vanilla extract, and salt. Mix on medium speed until well combined and smooth, about 60 seconds. 8. Frost cooled muffins with a knife – each takes about a tablespoon of frosting. Sprinkle on remaining chopped cranberries. Lastly, place 1/4 cup white chocolate chips in a microwave-safe bowl and heat at 50% power in 15-second increments until they melt when stirred. If the white chocolate siezes up, try adding a 1/4 teaspoon or so of vegetable oil to help get it to a drizzle-able consistency. Using a spoon, drizzle the white chocolate over the tops of each muffin in long, thin streams. Let sit until white chocolate hardens, about 30 minutes, and serve. Nothing says brunch like this classic. Bonus – it’s also super easy! In medium-sized mixing bowl, whisk together the half-and-half, eggs, honey, and salt. You may do this the night before. When ready to cook, pour custard mixture into a pie pan and set aside. Preheat oven to 375°F. Dip bread into mixture, allow to soak for 30 seconds on each side, and then remove to a cooling rack that is sitting in a sheet pan, and allow to sit for 1 to 2 minutes. Even the pickiest eaters will love this healthy update on a comforting breakfast staple. Pre-heat your oven to 375°F with a rack in the top third of the oven. Grease a medium baking dish with coconut oil and set aside. Note: If you’re not into citrus, feel free to mix up the fruit. You could also use a mix of bananas and blueberries, but almost any fruit will do. Think thinly sliced (or finely chopped) apples and pears in fall/winter, peaches and cherries in summer, etc. Happy brunching! We hope the new year brings you you warmth, peace and time with family and friends. We’ve all been there: December has come and gone, and with it all the cookies, turkey, and sweet treats. Come January, we’re ready to get back on track! While there’s nothing wrong with setting your goals high, sometimes you need a little wiggle room to keep them within reach. Maybe you’re simply hoping to add more vegetables to your diet – or perhaps you’d just like to cut out that second cup of coffee every morning. Whatever your resolutions are, don’t be too hard on yourself – sometimes it’s good to indulge (in moderation, of course)! If you’d like to make some healthy changes to your food choices in 2019, we’ve assembled 10 of our favourite healthy(ish) recipes to motivate you well into the new year. For those of you who follow a grain-free or gluten-free diet, it doesn’t mean you have to miss out on delicious savoury meals! These spinach crepes require only spinach, water, chickpea flour, and seasoning – and can be paired with your favourite fillings. Three all-natural ingredients and 10 minutes is all you need to prepare these sweet and crunchy coconut cashew bars. Eat them for breakfast or grab them for an on-the-go snack! When you think of chili, the word “healthy” doesn’t usually come to mind. However, this recipe features well-rounded flavours like pineapple, chipotle, gochujang, pork, and maple syrup that make for a sumptuous – and nutritious – meal. For parents out there who struggle with convincing their kids to eat real food – we’ve found the perfect shortcut! Dupe their favourite canned meal and make your own homemade noodle and tomato dish with a handful of simple, fresh ingredients. It may not be a salad, but this “healthy” take on beef and pasta boxed meals swaps cauliflower-rich in Vitamins C, K, and B6 – for noodles, and requires real ingredients. For those who are gluten-free, omit the flour, butter, and milk in the roux and replace with a cup of heavy cream and extra cheese! Stir-fry meals are a go-to for any household on a time crunch or a budget. Thankfully, you can adapt your stir-fry to whatever food restrictions or preferences you may have. Add chicken, turkey, shrimp, pork, or beef and sprinkle with a splash of soy sauce. Make your own natural version of the well-known, crowd-pleasing hazelnut butter – but without the excessive sugar and preservatives! Perfect for anyone with nut allergies! Easily blend together sunflower seeds, coconut oil, dark chocolate, and a little bit of icing sugar and salt for a delectable spread. Sweet potato and kelp noodles are life savers whenever those following a gluten- and grain-free diet are craving some pasta. Make this fresh duck ramen with rich broth, bok choy, avocado – and any of your favourite soup toppings! Impress your friends and family while sticking to your nutrition resolutions at your next dinner party or celebration. 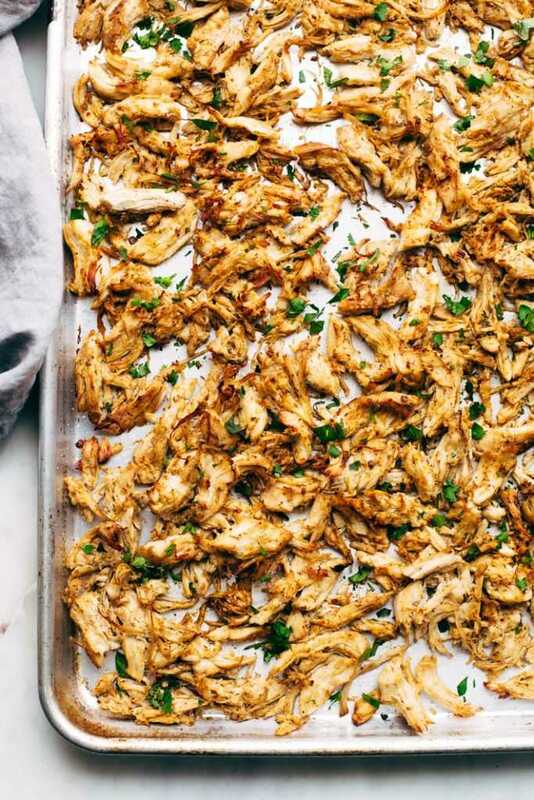 Filled to the brim with aromatic spices, olive oil, chicken, and red onion – this dish is so tasty your guests won’t even realize what they’re eating is so good for them! The cabbage craze has taken off – and for good reason, as the vegetable comes packed with nutrients and is a great source of manganese and fiber. Make your own delicious cabbage soup with ingredients you may already have in your pantry, including canned tomatoes and a plethora of spices. Do you have a favourite healthy(ish) recipe for the new year? Share your drool-worthy recipes and tag us on Facebook, Twitter, Instagram, Pinterest or YouTube ! Smoothies are a great option for a healthy breakfast or snack that you can blend up in a flash, but we have it on good authority that your blender is really bored of bananas and frozen strawberries. Send your hardworking blender on a taste vacation with these healthy and delicious blender recipes for any meal of the day. Combine all ingredients except bread slices in blender. Process on Blend about 5 seconds. Pour mixture into shallow bowl. Dip bread slices in mixture. Melt a small pat of butter in skillet. Cook over medium heat about 2 minutes per side or until lightly brown. Serve with butter, fresh fruit or maple syrup. Preheat oven to 325° F. Boil 2 litres of water in a kettle. Grease the insides of the muffin liners with oil and arrange them on a rimmed baking pan. Squeeze excess water out of the spinach and put it in a food processor or blender along with the eggs, egg whites, cheese, baking powder, salt, and pepper. Pulse until mixture is an even green colour with bits of spinach, about 30 seconds. Fill the muffin liners almost to the tops with the egg mixture. Place the baking pan on the middle oven rack and carefully pour the boiled water into the pan. Bake until firm in the centres, about 20-25 minutes. Transfer muffin liners to a cooling rack to set for 5 minutes. Egg muffins can be wrapped and stored in the refrigerator for a week. To reheat, stick them in the microwave at 50% power for 60-90 seconds. In a medium saucepan over medium heat, sauté onion in butter until onion is limp. Add chicken broth and broccoli. Bring to a boil, then reduce heat, cover and simmer 10 minutes. Place broccoli, onion, and broth in blender jar. Add milk, salt, and pepper. Remove filler-cap from cover to allow steam to escape. Blend on high speed for 5 seconds. Turn blender off. Remove cover and check consistency. For a smoother texture, replace cover and blend on high speed for 5 to 10 seconds. If desired, pour soup back into saucepan to reheat. In large bowl, mix salad ingredients. In blender, place olive oil, cilantro, garlic, lime juice, and salt. Cover and blend on high speed until smooth. If necessary, stop blender and scrape down mixture. Transfer to small bowl; beat in yogurt with whisk until smooth. Before serving, add dressing to salad mixture; toss until mixed well. Serve immediately, or refrigerate up to 1 hour before serving. Tip: Make an extra batch and freeze for future use. Store in freezer containers or plastic freezer bags, label, and date. This sauce can be frozen for up to 4 months. Substitutions: If fresh herbs are available, substitute 1 tablespoon chopped fresh oregano for the dried basil and oregano. In the blender, combine all ingredients except the chicken breasts and blend for about 30 seconds. Ensure all ingredients are well incorporated. Preheat grill and lightly oil grate. Cook chicken on the prepared grill 6 to 8 minutes, until juices run clear. Place grilled chicken into pan with hot chicken stock; place pan into oven to bake chicken for an additional 6 minutes. Allow meat to rest for 5 minutes. Char the Paratha Roti on an open grill grate, allowing both sides to toast lightly. Remove from heat. Add the following ingredients in sequence: Cajun mayonnaise, shredded romaine lettuce, tomatoes, red onions, pineapple and mango salsa, grated cheddar cheese. Lay jerk chicken on top and wrap up carefully folding and tucking the bottom flap in. Pulse until salsa has reached your desired consistency. Add salt and himalayan sea salt to your taste. Serve with homemade crackers, plantain chips, corn chips, or veggies. Heat milk and butter in a saucepan until small bubbles appear at the edge. Meanwhile, whisk the eggs in medium bowl. Cook, stirring constantly until the mixture reaches 165ºF, about 2 minutes. If you’re worried your blender isn’t up to the task of taking on all of these delicious new blender recipes, it could be time for an upgrade. London Drugs carries some of the best blender brands on the market, including Hamilton Beach, which has a blender for every kind of kitchen and every budget. Until December 24, purchase any qualifying Hamilton Beach product with your #LDExtras member ID and be automatically entered to win a Toyota Prius C! This Father’s Day, head to the kitchen and treat Dad to a homemade brunch! Sweet or savoury, here are two delicious recipes you can make together as a family. On May 30th, join London Drugs and Chef Miki Arambulo as they prepare the ultimate family friendly Father’s Day brunch! During the event we’ll prepare two delicious recipes for Dad using Cuisinart’s Precision Master Stand Mixer, Vertical Waffle Maker, and Air Fryer Oven. Join the conversation and learn tips and tricks for the ultimate Father’s Day brunch! Have a questions about one of the appliances or recipes? Visit the Facebook event and comment with your questions—we will do our best to answer all questions during the event! Combine the flour, sugar, cocoa powder, baking powder, baking soda, salt and cinnamon in a large mixing bowl; whisk to blend. In either a large measuring cup or separate mixing bowl, combine the liquid ingredients and whisk to combine. Add to the dry ingredients and whisk until smooth. Fold in the morsels. Preheat the waffle maker to desired setting (a tone will sound when preheated). Pour a scant cup of batter through the top of the spout. When tone sounds, the waffle is ready. Carefully open the waffle maker and remove baked waffle. Close waffle maker and repeat with remaining batter. For best results, serve immediately. A more nutritious alternative to regular French fries. Prepare Chipotle Mayonnaise: Put mayonnaise, chipotle and lemon juice in the work bowl of a mini food processor. Process on High until completely puréed and homogenous. Transfer to a serving bowl, cover, and refrigerate until ready to serve. Make Sweet Potato Fries: Place the AirFryer Basket onto the Baking Pan. Put the cut sweet potatoes into the basket. Spray liberally with oil. Sprinkle with salt and toss. Spread into a single layer. Put the assembled pan into the oven in rack Position 2. Set to AirFry at 400˚F (200˚C) for 15 minutes. Cook until golden brown and crispy. When sweet potatoes are ready, transfer to a serving bowl. Serve immediately with reserved Chipotle Mayonnaise on the side. Don’t forget to join our Facebook Live event on Wednesday, May 30th at 12pm PST! Excess kitchen equipment can take up valuable cupboard or counter space, but there are a number of amazing kitchen tools that are worth the extra real estate. We’re highlighting five kitchen appliances here that will make family dinners easier, as well as fantastic recipes for you to use with them. Bon appetit! The wok isn’t your typical frying pan. It’s a particular type of round-bottom cookware that can be used to stew, braise, poach, boil, steam, pan fry, deep fry, and stir fry. It’s almost a pot and a pan in one dish, but the distinct shape makes it easy to toss food around with a spatula and it heats better than a flat pan. It’s simply the best tool for stir-fries, which make super quick weekday meals. Indoor grills bring the flavour of the summer inside, all year long. Instead of struggling with coals or barbecuing in the rain in the fall, turn on your indoor grill. It has a more even cooking temperature than an outdoor grill and is dead simple to use. Everything tastes better grilled. The rice cooker sounds like it’s only good for one thing–cooking rice–but it’s far more versatile than it seems. You can also use it to make curry, oatmeal, soup, polenta, and tons more. Surprising, but delicious! We’ve listed recipes here that go beyond the classic use, although rice cookers do make cooking a side of grains pretty darn simple as well. Slow cookers are for the perfect tool for someone who wants a meal ready to go by the time they get home. Prep in the morning, set it, and forget it. You’ll come home after a long day with your house smelling amazing and dinner waiting. If your kitchen space is truly at a minimum, don’t fret. The Instant Pot is an amazing kitchen appliance that basically combines many features from the previous tools into one: it’s a slow cooker, pressure cooker, rice cooker, and more. It even makes yogurt! And it uses much less energy than many stoves. Easy, simple, and environmentally friendly. 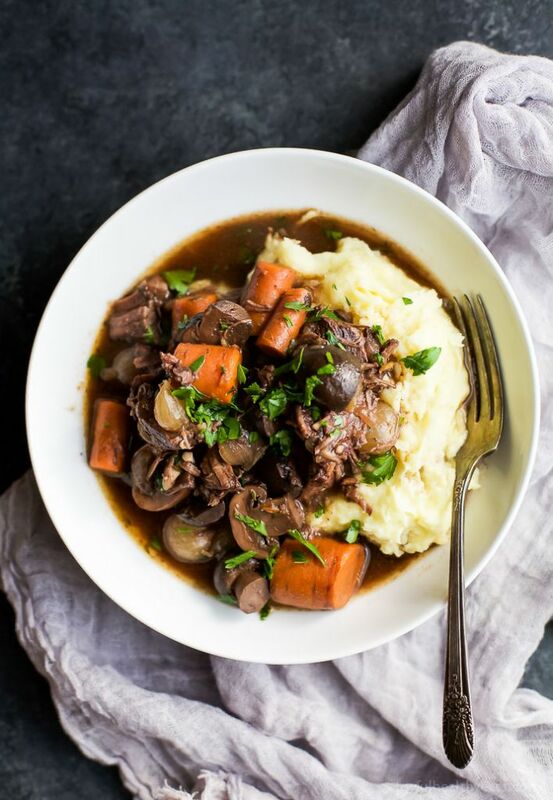 For more Instant Pot recipes, check out our 6 Sensational Recipes for the Instant Pot post! Do you love your Instant Pot or your rice cooker? Find all of these kitchen appliances at your local London Drugs in-store or online. For those who don’t know, the Instant Pot is a multi-purpose kitchen tool that combines the functions of a pressure cooker, slow cooker, rice cooker, sauté pan, steamer, warmer, and yogurt maker. With all that in one space-saving appliance, it’s no wonder the product is a huge success. Still, some might feel challenged to ensure they make the most of each Instant Pot feature. For the Pressure Cooker: The best part about pressure cookers is preparing dishes that would normally take hours in mere minutes. Meaning, whole new categories of dishes, like roasts and stews, can be added to your night-of cooking rotation. For the Slow Cooker: Sure, nearly everything you can make in a slow cooker is faster in a pressure cooker. But certain recipes may benefit from a slow approach. Plus, you can leave a slow cooker on during the day and simply sit down to dinner at night! For the Rice Cooker: A rice cooker is great for so much more than just making rice. Even if you do make rice in it, there’s no reason it needs to be plain. 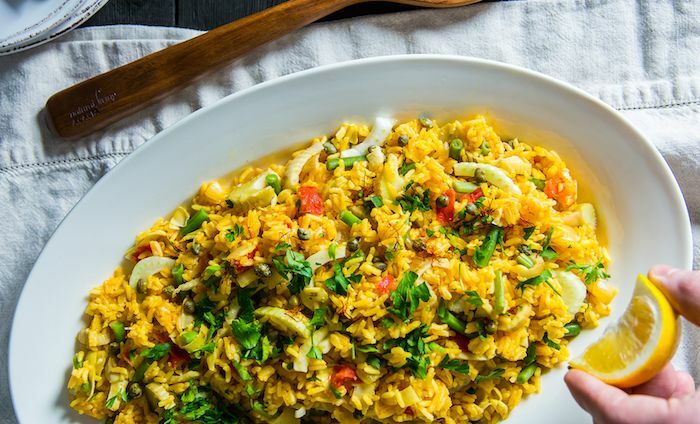 With just a little added technique, you can make entire satisfying meals like this paella. For the Yogurt Maker: This is one Instant Pot function many of us are probably still unfamiliar with. But the rising popularity of protein-rich yogurt breakfast parfaits mean it’s likely to become a more popular option soon. Ready to give it a shot? Read on. You can purchase one of two different sizes of Instant Pot at London Drugs in-store or online. Have a question about the Instant Pot? Feel free to ask an LD Expert in person, or you can reach us in the comments section below and wherever you find London Drugs on social media.